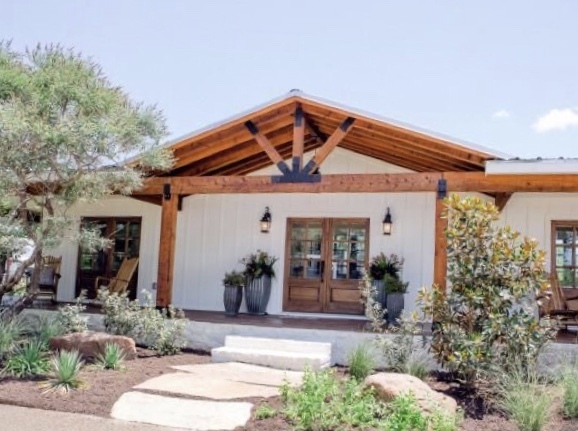 We appreciate your input here at Deckstainhelp.com as we continue to be your go-to source for the latest in deck restoration news and trending topics through 2019. 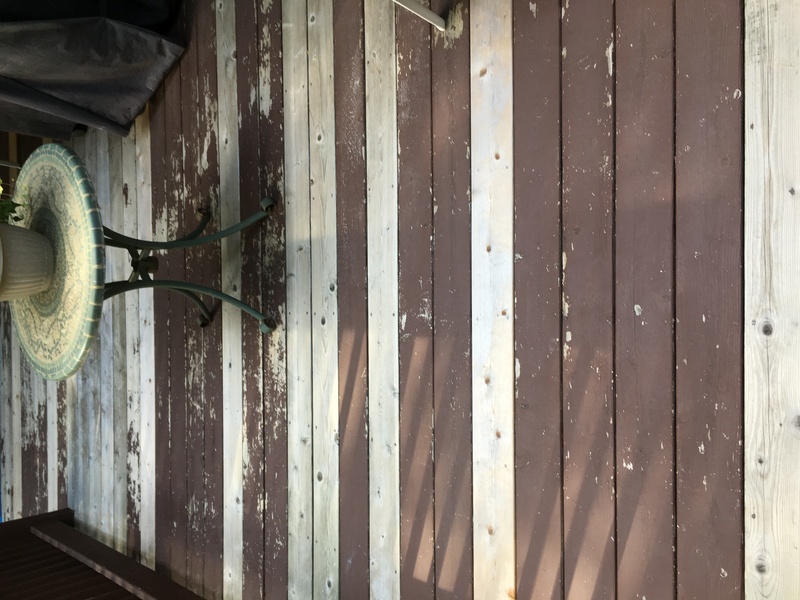 See below for an article about Why Sanding a Deck Can be an Issue. Feel free to leave a comment or ask questions below. 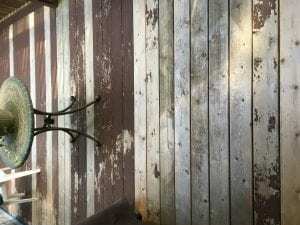 One of the most frustrating problems that can crop up when you decide to stain or restain your deck is that the stain doesn’t absorb into the wood correctly. There are a number of different reasons this can happen but one of the more common issues is that the boards were not correctly sanded or prepared for the task. Today we will examine the main causes behind poor absorption and explore some of the measures you can take to negate this issue in the future. Often, we don’t invest much thought into the sanding process and just get on with it without careful planning. This is where your difficulties will arise. When sanding any type of wood to prepare for a new coat of stain, you have to be ultra-careful with how much you sand the wood and the level of sandpaper grit you use. Anything more than around 60/80 grit is too much and will leave the wood overly smooth. This essentially means the pores are too small to absorb the stain or gloss correctly and it will take more hard work to finally prepare the wood for absorption. A good wood stain finish always starts with the correct sanding preparation. It is important, to begin with, a power sander and always finish by hand to reach difficult areas. Remember no more than 60 or 80 grit paper. The next step is to clean the wood thoroughly after the sanding. Deck cleaners, also known as deck wash are used to lift dirt and unsightly mildew which accumulates over time. Most deck cleaners contain soaps to help them clean effectively. The downside to the soap is that raises the PH level of the wood. This can make the wood appear darker in color, and the higher PH balance also makes it more difficult for the stain to penetrate. The way to reverse this after using a deck cleaner is to apply a wood brightener. A wood brightener contains a mild acid formula which will neutralize the higher PH balance caused by caustic soaps. The effect is that the wood’s PH balance is restored and the wood is brightened back to its natural color. This will ensure that your wood looks natural and will shine through as it should after the stain is applied. All that’s left for you to do now is stain the wood. If you are having trouble with stain penetration then follow the steps we have outlined in this guide – over sanding does not have to be the end of the world. Simply sand the wood again and make sure to properly clean and brighten it before reapplication of your stain. I am planning on re-staining a wood stairway, last stained 4 years ago. It’s a grey color today. I am planning to power wash and, once dry, sand. Do I follow the clean and brighten process you recommend? Also, is there a particular type of stain I need for the stairs vs. a deck? what type of sanders make quick work? Orbital, belt or sheet sander? Or are they all about the same…? I would like to try the big drum floor sanders but wood planks tend to “warp” a bit where the edges raise up slightly so I feel a big drum sander would just sand the edges of the planks? Is that true? We use belt and hand sanders. Drums will work as well but they are cumbersome to use on a deck. I am about to *replace* my deck with brand new PT 5/4 x 6 deck boards. I am currently drying them right now in my lanai. In the past I have never bother to sand before staining but always wondered if I can get a better long lasting look if I did. 1. I was told that if I sand that I would remove some of the PT protective properties of the wood. True? I would think not since the chemical would have penetrated deeper than just the top layers. Just wanted to confirm. 2. Will sanding with 60/80 grit sandpaper *enhance* stain absorption vs non-sanding — or does it make no difference? 2. Sanding is not the way to prep. See above link. We have an old deck that we stripped before sanding as the old oil based previous stain kept clogging the sand paper. after stripping, brightening and power washing we sanded the entire deck. Wood now looks very good. We plan on lightly power washing before applying Armstrong semi transparent stain but should we use a cleaner & brighter on the deck as well as power washing? I plan to re-stain the siding on my house. 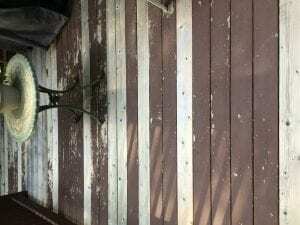 The siding dates to 2012 and was originally stained with a cape code grey semi-transparent, and later a clear coat of some kind was put over that without any prep work at all. Needless to say, it looks terrible. So I plan to go down to bare wood before applying a new stain. The wood is weathered and existing stain, as it is, is peeling, cracking and in tiny little grooves in the wood. I’m going to use a mechanical sander and 60 grit paper. My question is – should I use a stripper before sanding to try and get the old stain out of deep grooves? Or, once the wood has been reasonably sanded down, should I apply a stripper then? 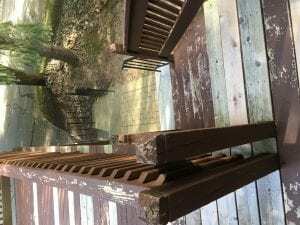 Once the wood is bare, do I still need to apply a deck cleaner and wood brightener? Or can I just apply the stain to the bare untreated wood? I do not think this can be stripped so you will need to sand to remove. Clean and brighten the wood after for final prep. OK – I’m definitely planning on sanding. Will be staining with TWP 100 (assuming I like the color) – which cleaner/brightener should I use? How much time between cleaning and application of stain? Use the TWP Gemini Restore Kit for the cleaner/brightener. Wait 48 hours after prep to stain. I hired someone to re-stain my 15 year old front porch (it’s very large, covered, and does not receive much direct sun). He used Cabot oil based semi-solid stain. I don’t really like the look of the semi-solid stain and I hate the color. I’ve since learned that this type of stain can only be removed by power sanding it. Ideally I’d like semi-transparent, but sanding everything down is not something I want to do or can afford to have someone do right now. So I’ve accepted that I have to stick with the semi-solid stain. I was planning on using Sherwin Williams stain because I’ve always been told they are good, but after reading everything on this site I am second guessing that decision. I guess my main question is, what would be the best product to use on top of the cabot oil based semi-solid stain? Does whatever I use need to be oil based or water based? Thank you! You have to remove the Cabot if switching brands. No way around it unless you want to paint the deck with a solid stain. Thank you. If this is the look I’m going for, would you suggest twp 1500 cedartone or California redwood? Some of the pictures I see of cedartone look too light. I have a pine deck about 250 square feet including stairs. It has been stained 6 years ago with SW solid stain. I want to re-stain the deck, stairs, and only the top of the railings (rest of railing’s stain is intact) in the same SW solid stain color. Some of the boards are unstained. I stripped the deck, stairs, and top railings with Behr stripper and only a small amount of stain came off. Is there a better stripper to get off the stain or should I just sand? If I do sand what kind of sander should I use? Do I just need to sand only the boards with the stain or all the boards? I know I need to use a cleaner after I sand, but do I need to brighten, since I am re-staining in the same solid color? If you are using a solid color again you do not have to remove all of the current stain. Just sand or pressure wash off the loose stain and dirt, leaving any intact stain that has not failed. No need to brighten. When you say it should not be more than 60 to 80 grit, you mean it should not be too coarse or it should not be too fine grit ? is 40 grit ok ? Not finer. So not higher than 80 grit. 40 is a little rough. You should go over with 60. I used Behr semi-transparent deck and siding stain in 2014. I sanded with a floor sander, then used a brightner. The decks came out awesome. But four years later, they are starting to peel about 25 oercent on one deck and 50 percent on the other. The rest of it is in tact, but faded. I pressure washed this weekend and didnt phaze what was not peeling, but it came clean. It is really on there in the pkaces yhat are not oeeli g. What is oeeling is like big pieces of plastic. My question is, Can I use a barrel sander and not brother stripping. I will use 60 to 80 grit. My back deck is about 25′ high and i have trees, plants, etc i do t want to harm with chemicals. Plus i dont kniw how i would keep the stripper of the siding goi g down. You can use a drum sander to remove. I just installed a new cedar deck. The wood sat outside for about a month prior to getting installed and some boards got more sun exposure than others. I would like to even out the color and weathering of the boards. Can I sand the entire deck and then stain in about 2 months? Would you stain now or right before I stain? How much time between using a deck cleaner and a deck brightener and applying Defy Extreme semi-transparent stain? After the prep, wait about 48 hours to apply the stain. It cannot be stripped. It will need to be sanded off. I am preparing to re-stain my deck. 2) Is it necessary to use a pressure washer? 3) I have a 3000 PSI 2.5 GPM pressure washer. What is your recommended distance to hold the nozzle from the surface assuming a 45 degree nozzle; or is the 3000 PSI just to much? Thanks for the help and your reviews are outstanding! 3. 8-12 inches away from the wood and the pressure will drop in half.